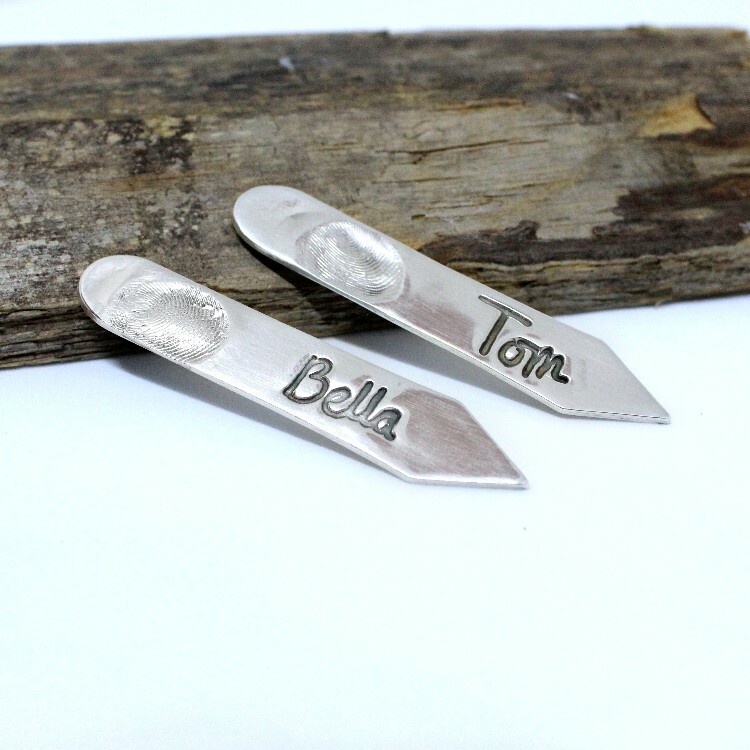 Personalised silver collar stiffeners are the most special gift to give to any smart gent. Each stiffener is personalised with a combination of a loved ones actual fingerprint, their hand or foot print and a name or signature. Making them perfectly unique and a gift he will treasure. Would you like gold inlay? Finger Print & Engraved Name per collar stiffener. Finger Print & Signature per collar stiffener. 2 x Fingerprints & Initials per collar stiffener. 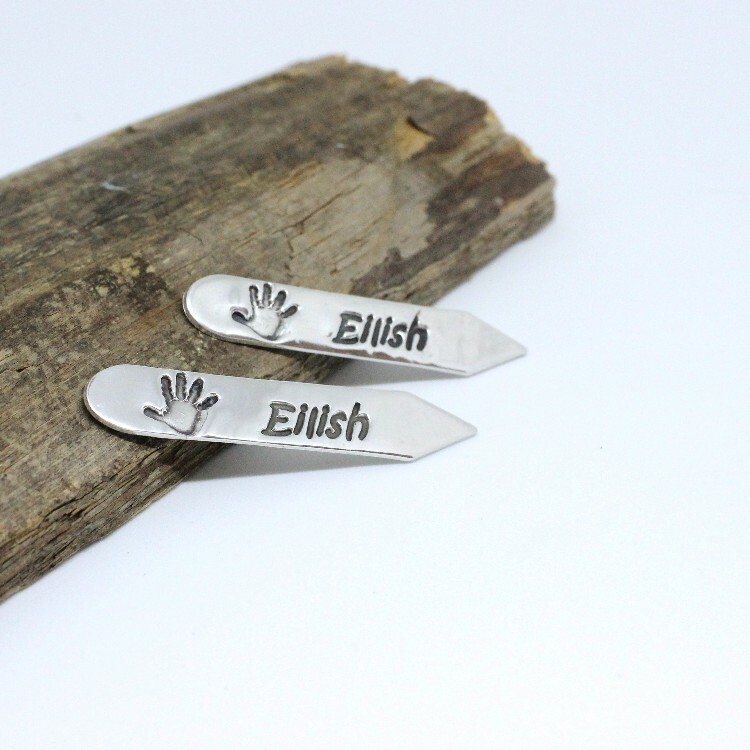 Hand/Foot or Paw Print & Engraved Name per collar stiffener. 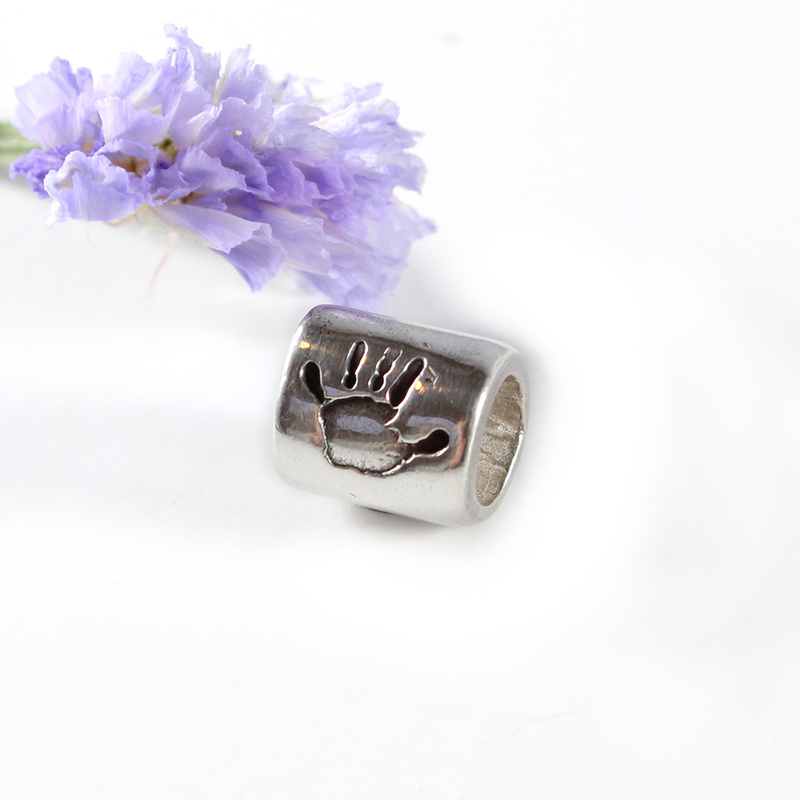 Hand/Foot or Paw Print & Signature per collar stiffener. 2 x Hand/Foot/Paw Prints & initials per collar stiffener. As the prints are minimised Impressions to Keep can work with prints from any age and any size! However, as small children and babies have such fine fingerprints, we recommend a minimum age of 2 before you attempt to capture their fingerprints. After placing your order for personalised silver collar stiffeners, you will be sent a non messy magic wipe kit to take the prints in the comfort of your own home. For fingerprints you will be sent a special putty to capture those fingers! The kits are very easy to use and full instructions are contained in the pack. You will be sent instructions on how to email your signatures if you have selected this option. You will also be able to detail any lettering you wish to be hand engraved on to your jewellery on your order form. You can return your images via email, having scanned or photographed the prints, which means you can keep the original as an extra keepsake! Fingerprints will need to posted via Royal Mail. Impressions to Keep delivery times are 3-4 weeks from the date your prints are received and are sent via a signed for service. If you require your jewellery before this delivery guide, please confirm Impressions to Keep are able to complete your order ahead of normal timescales before you place your order. 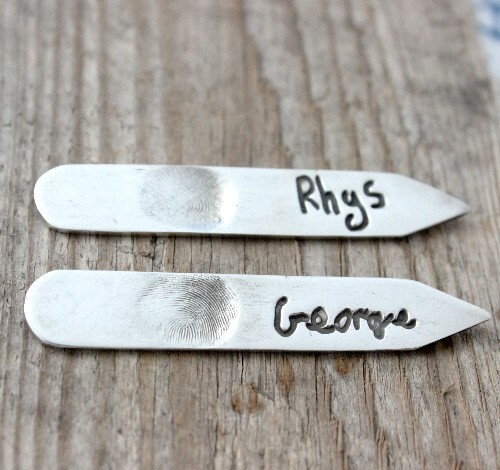 Personalised silver collar stiffeners are the most special gift to give to any smart gent. 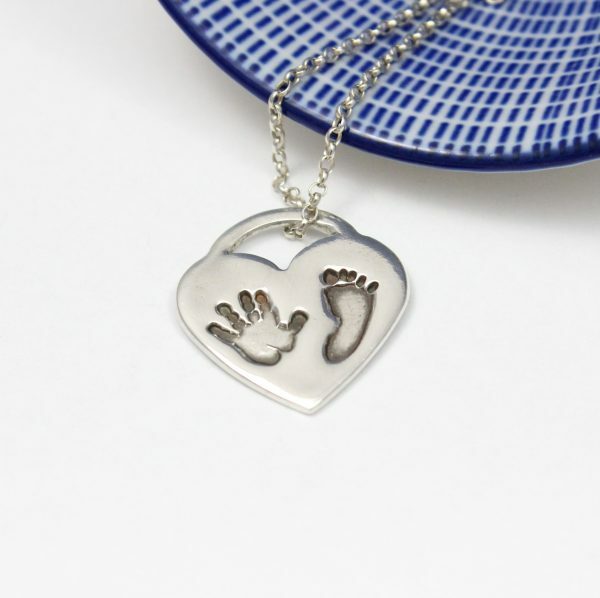 Each hand print collar stiffener is personalised with a combination of a loved ones actual fingerprint, their hand or foot print and a name or signature. Making them perfectly unique and a gift he will treasure. As the prints are minimised Impressions to Keep can work with prints from any age and any size to creat your foot print collar stiffeners! However, as small children and babies have such fine fingerprints, we recommend a minimum age of 2 before you attempt to capture their fingerprints. After placing your order for personalised silver collar stiffeners, you will be sent a non messy magic wipe kit to take the prints in the comfort of your own home. For fingerprints you will be sent a special putty to capture those fingers! The kits are very easy to use and full instructions are contained in the pack. You will be sent instructions on how to email your signatures if you have selected this option. You will also be able to detail any lettering you wish to be hand engraved on to your hand print collar stiffeners on your order form.